A straight no makes you callous. Saying a lot of things that aren't no but add up to no makes you squirrelly. Saying yes when you're thinking no makes you a liar. Any of those is a bad idea. 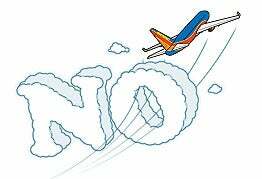 The right way to say no is to combine all three approaches into a kind of super no -- a negative accompanied by a whole bunch of positives. Take one of the most common yes/no questions in business: the request for a raise. On the face of it, what that moment represents for you, the employer, is an awkward conversation in your office. But what that question represents for the employee is days and days of thought and anxiety and practicing the question with a mirror and maybe a couple of Xanax. The question is just the last step in a very long process. A quick no way belittles that process. Which is why the no should be a minor part of the answer. Your response should be commensurate with the effort it took to ask the question. Your response should be empathetic. "You want to make a connection, then say something positive that values the person making the request, then say something empathic, then say no," says Dr. Linda D. Tillman, an Atlanta-based clinical psychologist. Tillman calls it"empathic assertion." Here's how Tillman tells us she would reject a request for a raise:"Sam, your work on the McDonald project was outstanding [POSITIVITY]. I can certainly understand that you would like more money at this point in your work with us [EMPATHY]. However, we won't be able to consider raises for anyone until after the fiscal year is over [DENIAL]." A slightly more efficient approach:"Sam, two words: McDonald project [POSITIVITY]. I feel you on this [EMPATHY]. But until next year, I got nothing to give [DENIAL]. Share a Twix? [CANDY]"
It helps to look at requests--for a raise or otherwise--as an alternate vision for your business. You might (or might not) like the look of that vision. But it's a vision that needs to be accepted or rejected. If you establish that kind of context, saying no doesn't seem obstinate; it seems honest, thoughtful and responsible. You're establishing that you're both trying to do what's right for the company. You're establishing a principle. And principles are helpful--not in an abstract way, but in a practical way. They help you triangulate a little. Advocating for the company takes the pressure off both you and the person making the request, and places the pressure on the larger enterprise. You're saying, You might be right, and I might be making a mistake, but I don't see how this is going to work for the company. "If the employee is making a case for more money, it's the employee's job to create a new vision for the employer," says Jim Camp, CEO of the Camp Negotiation Institute and author of No: The Only Negotiating System You Need for Work and Home. "But if the employer doesn't see it, it's a very easy thing to say, 'I just don't see what you see, and I can't go in that direction.'" When investors ask you for something, they're not asking you to accede, necessarily. They've chosen a path, but if you have a better one, then they want to hear it. "No investor should want you to say, 'Oh sure, we'll do whatever you want,'" says Jared Klett, co-founder of Blip, which hosts and distributes web-based TV shows. "If you say, 'I hear you, but I really believe this is the right way,' nine times out of 10 the investor will respect that, and they'll want to invest more. If they don't, then you probably don't want them as an investor." With an investor, no is just part of a negotiation. It's their job to test you. It's your job to push back. No one worthy of your partnership--not an investor, not an employee, not a co-founder--necessarily wants you to say yes. They want you to make things better. Everything so far has assumed that you value the person making the request, that all the mitigation and explanation and empathic assertion is worthwhile because you have reason to invest in the relationship. But what if you don't? Says Klett:"Everyone--even subordinates--should be put on a level playing field. But if they really push you, then you play the 'this is how it is' card." That card, of course, is simply no. And it's a powerful card. It's bleak. And sometimes it's necessary. No is an opportunity here, too. It's an opportunity to end things--maybe even the relationship--but still, it's an opportunity. However it's delivered, no indicates where you stand and where the person making the request stands with you. When you say no, you equip the other person with your appraisal. Which is a lot. Instead of getting what they asked for, they got something arguably more valuable: enough information to know if they should cut out or stay in. You're giving them power, really. Which is all anyone wants. They might be disappointed by your answer, but they're better off than they were before. No can be a generous thing. No always means more than no. When you reject a request, you're also rejecting the requester. Triangulate. Take the pressure off you and your employee and place your rejection in the context of what's right for the company. Every rejection should be accompanied by "empathic assertion." Establish a connection, then say no. Do this: "Melinda! It sounds like you've thought a lot about this. Your points are valid, but I just can't see your vision right now. So I'm afraid the answer is no." "Nah" is a little flip. "No way" is a little casual. "Negative!" is a little much. "I Can't Go For That (No Can Do)" is a Hall and Oates song. Saying no is most effective when you offer up an alternative way forward. Saying no is least effective when you preface it with "Are you kidding?" Saying no is really confusing when you nod your head.